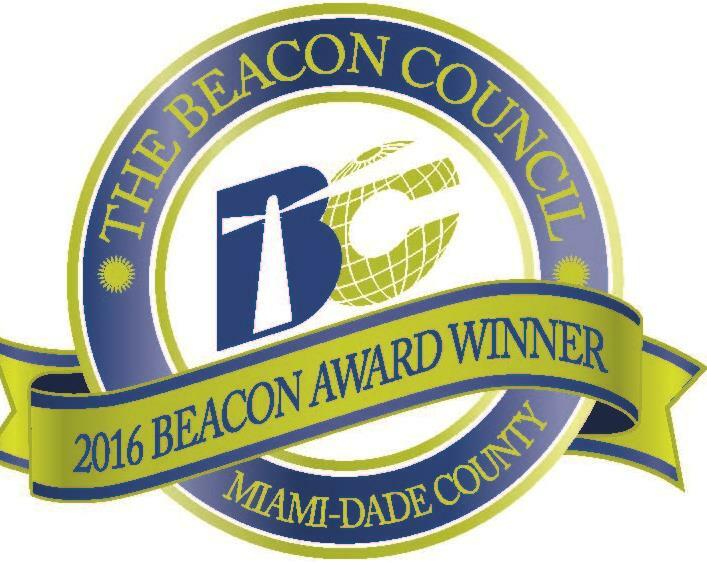 From “Why Miami?” to “My Miami” was the theme of the Miami-Dade Beacon Council New Leaders Taskforce third annual networking reception and entrepreneur focused program on June 22 at the East Miami Hotel. 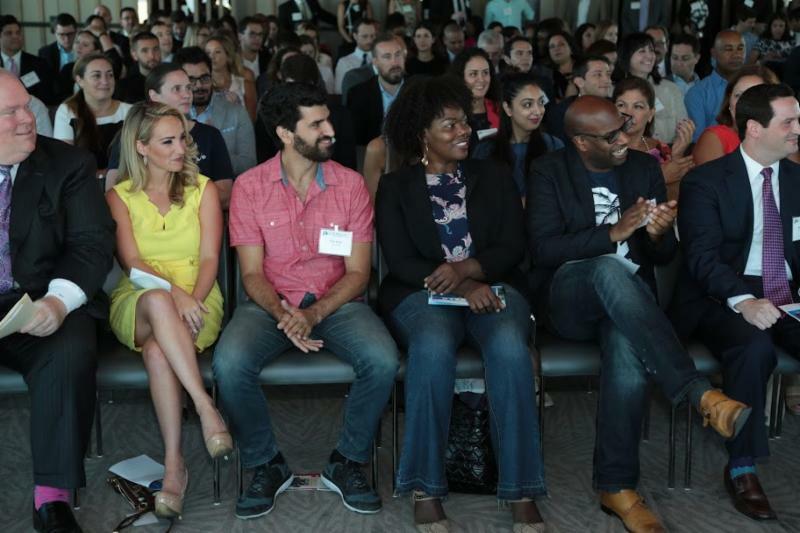 The New Leaders Taskforce connects local young professionals and students with business leaders to help them better understand career opportunities in Miami-Dade. Keynote Speaker Carlos Migoya, President & CEO of Jackson Health System, encouraged young professionals to take advantage of Miami’s openness by noting “this is a town where nothing is given to you, but you can get anything you want” with hard work. He said prioritizing relationships is essential to being successful in business. “Every business is a people business,” he said. Topics also included Miami-Dade’s growing startup community and development of more public spaces, as well as the area’s first virtual-reality conference. 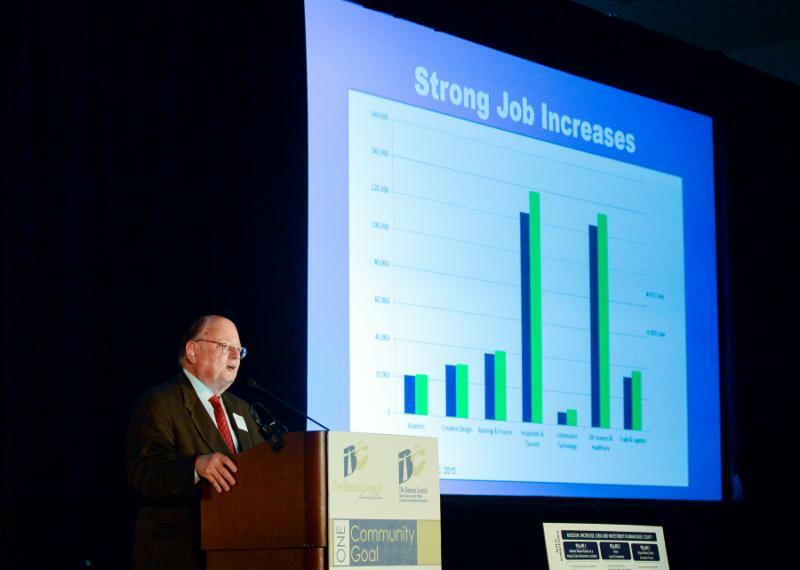 The Beacon Council Chair Ernie Diaz opened the event discussing job-generating accomplishments from the past year and Beacon Council President & CEO Larry K. Williams talked about the importance of talent development in recruiting businesses to Miami. Oscar Lopez, NLT Chair, closed the event by thanking the NLT members for reaching 3,000+ young professionals. Thank you to Moderator Mark Trowbridge, President & CEO, of the Coral Gables Chamber of Commerce; and Keynote Speaker Migoya for sharing personal experiences and their knowledge of Miami. Thank you to Panel Moderator Ann Keil, reporter with WSVN; as well as panelists Brian Brackeen, CEO of Kairos; Mary Spio, President, of CEEK VR; and Tico Aran, Co-Founder/Director of Operations, of JOJO Tea; for their insights. Thank you to our sponsors: Florida International University College of Business, MiamiDDA, JP Morgan Chase, Greenberg Traurig, Florida East Coast Realty, Carlton Fields, FirstBank, FEAM, Goldman Sacks 10,000 Small Businesses, Bank of America, WeWork, eMerge Americas, Invest Miami and Pete De La Torre Radio Show. Thank you to East Miami Hotel for providing the stunning Miami skyline as a backdrop. The Palmetto Bay Village Council approved the site plans for the first two downtown projects at a zoning hearing on June 21, catapulting the dream of Downtown Palmetto Bay into fruition. Baker Tilly International, one of the world’s leading networks of independently owned accountant and business advisory firms, recently hosted BTI Global Tax Forum in Miami. 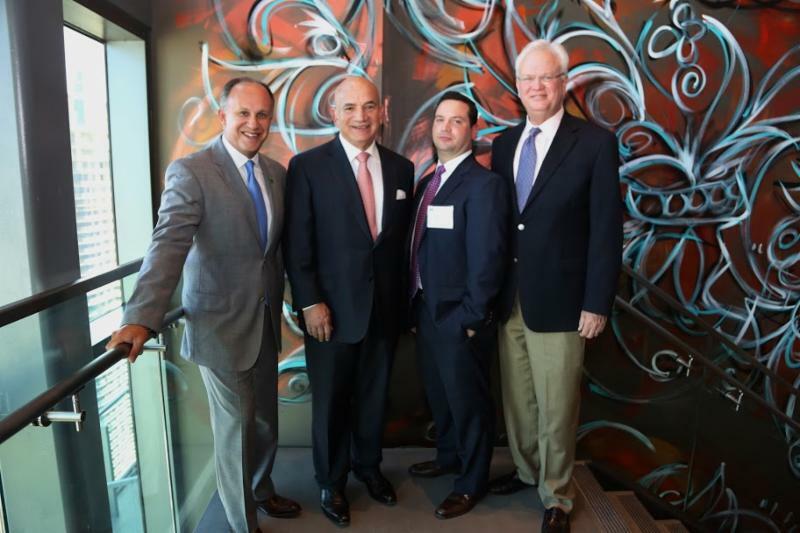 Baker Tilly International – “Staying competitive in today’s global business environment through international tax planning,” hosted by Cherry Bekaert’s Miami office, showcased Miami and Florida as a global leader. “The excitement created by the event brought to the forefront the breadth of opportunities we have in South Florida. The content of the program created awareness of what our community has to offer from a local and international perspective to owners and investors. 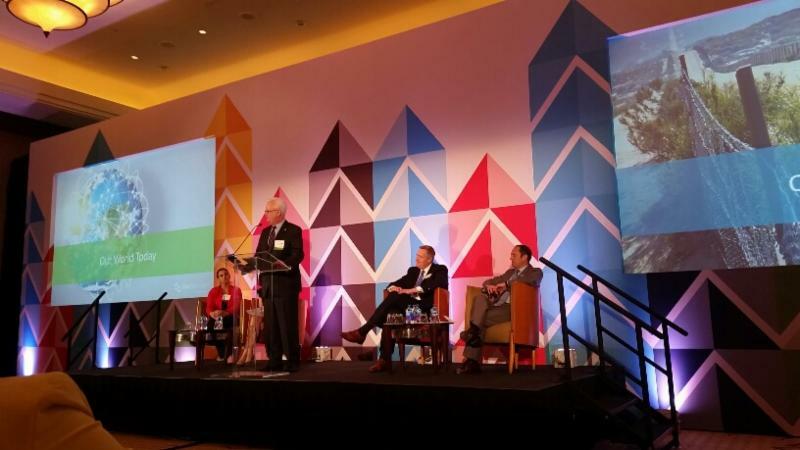 The forum also offered insights on how to make informed decisions as a result of opportunities brought by the expansion of the Port, the continued growth of our real estate sector, and the booming technology community”, said Beacon Council investor and Managing Partner of Cherry Bekaert’s Miami office, David W. Appel, CPA. * Sherry Jin, BTI China. 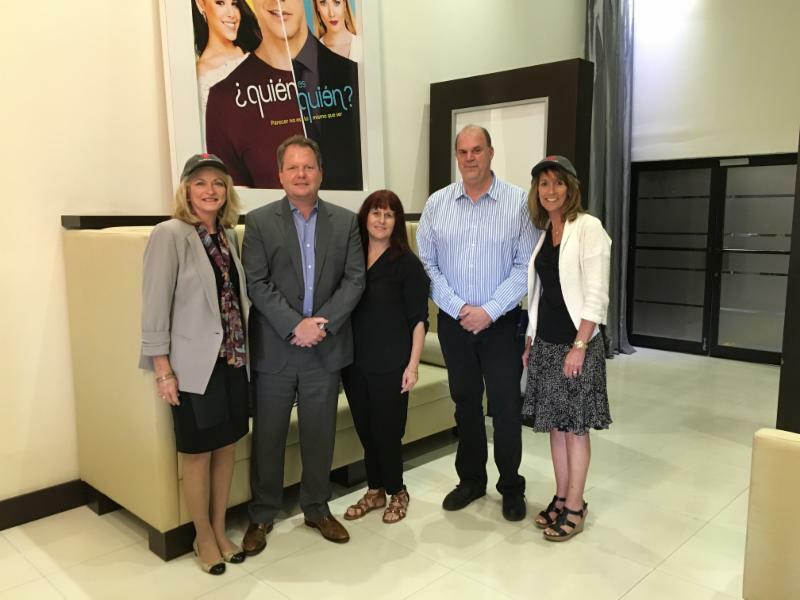 The Beacon Council CMO Susan Greene and Executive Vice President of Economic Development Dyan Brasington toured NBCTelemundo’s Hialeah headquarters. Sandy Lighterman, Film Commissioner with Miami-Dade Office of Film & Entertainment, Jeff Mayzurk and Jeff Stamatis of Telemundo, provided the guided tour of the massive studio complex which produces an average of 800 hours of programming annually. Services include multiple stages, lighting, grip, cameras, control rooms, scenery, props, remote production, post production, and support services. Universal Telemundo Enterprises is building its global headquarters at a new site in Miami-Dade County, creating 150 new jobs and investing more than $250 million. The new building will house 1,100 employees, with the capacity to expand to approximately 1,300. NBCUniversal Telemundo Enterprises’ new headquarters will bring all of the division’s offices, broadcast and production operations, under one roof including the Telemundo Network, Telemundo Studios and Telemundo International, as well as its cable network NBC UNIVERSO, its digital media operations. The company will be poised to provide Spanish-language programming and multiplatform connections to the growing U.S. Hispanic market and audiences around the world. EcoTech Visions is a new business incubator and accelerator designed to assist entrepreneurs in creating, planning, and launching innovative and “green” manufacturing businesses in South Florida. More specifically, the company supports the development and assists start-ups in the planning and production of products that are manufactured with recycled materials. LATAM Airline Group’s 1,400 daily flights carry 90 percent of air traffic in seven Latin American markets. Our feature story last week incorrectly named the Rotary Club of South Miami. We apologize for the error.